Beech House, formerly the village Police House, is an attractive detached four bedroom family home, enjoying a prime woodland edge location within the pretty conservation village of Swinton. Dating from 1890 and listed as of historic interest this sandstone property with cross gabled slate roof has been thoughtfully extended and improved by the present owners and enjoys a magnificent backdrop of a mature beech and oak woodland, enclosed landscaped and family friendly gardens and wonderful natural light throughout the year. 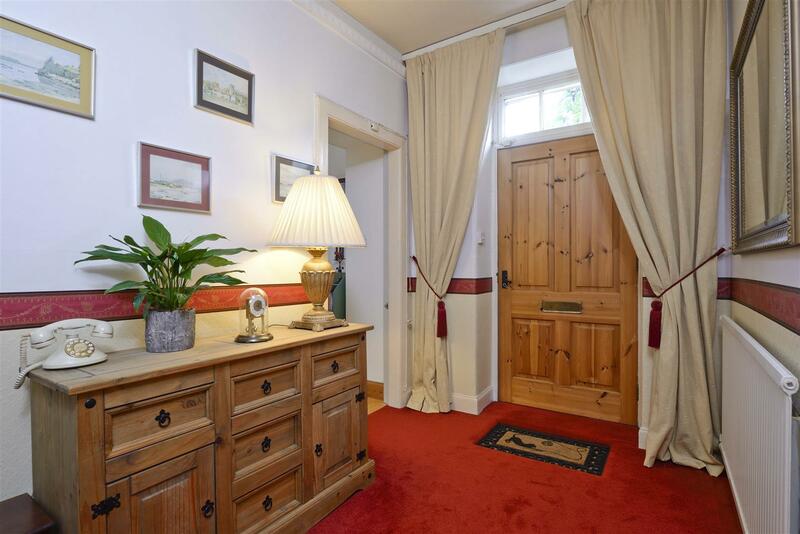 Entrance Hall, Sitting Room, Drawing Room, Bespoke Kitchen, Garden Room, Family Bathroom, Rear Hall, Porch, Downstairs Bedroom with Ensuite W/C, Three Further Bedrooms (Two En-Suite). 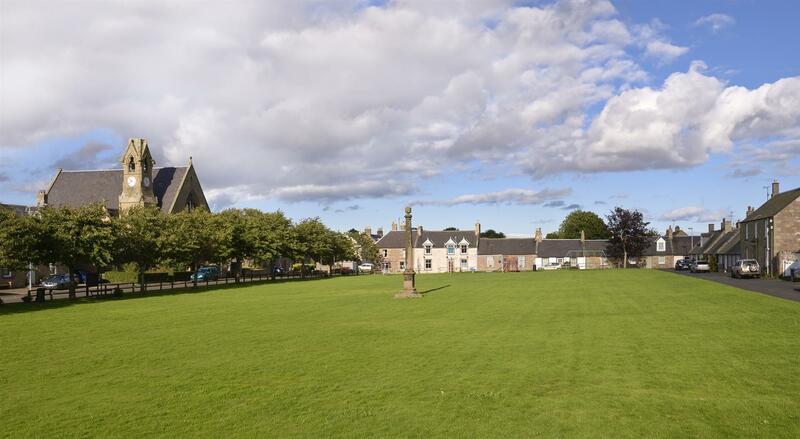 Ample Off Street Parking and Enclosed Landscaped Garden. A central entrance with transom over leads to the main hallway, with two bright public rooms opening off. 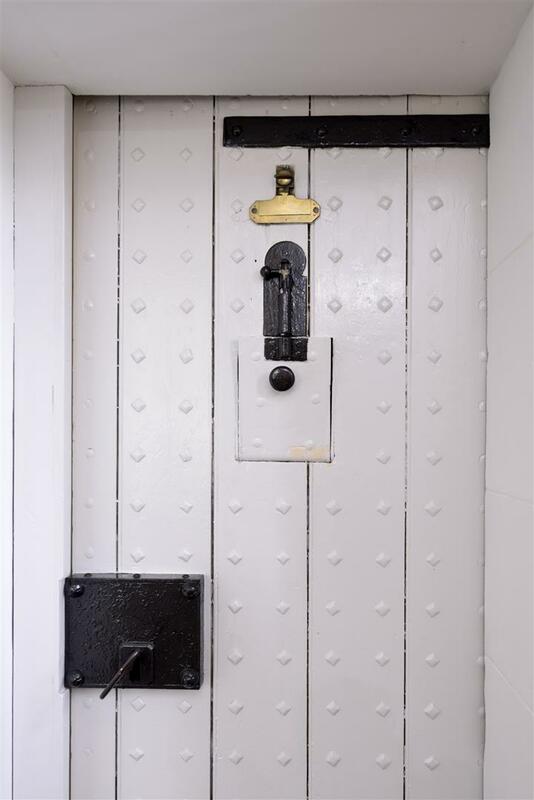 The Sitting Room lies within the former Police Office; fitted with attractive wooden flooring and retained police cell with heavy studded door, brass spy hole, porridge flap and original lock and key. 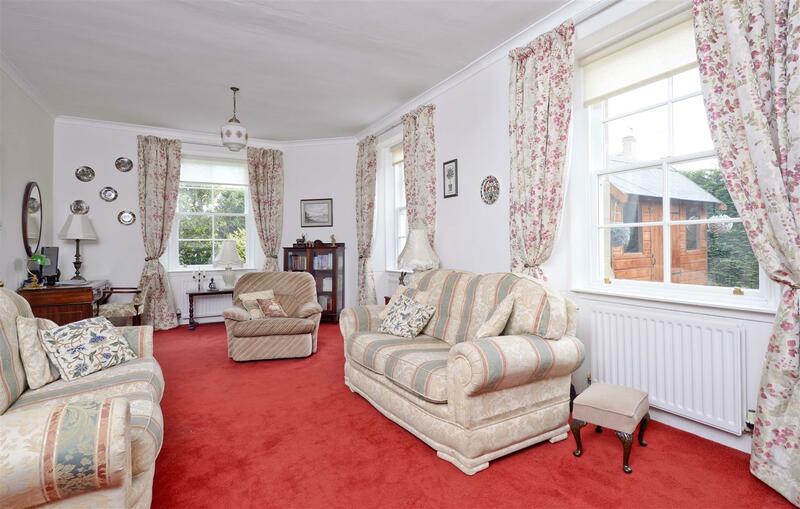 The windows to front have been fitted with timber sash and case double glazed units, matching the windows in the Drawing Room, and further windows to side allows a lovely dual aspect. 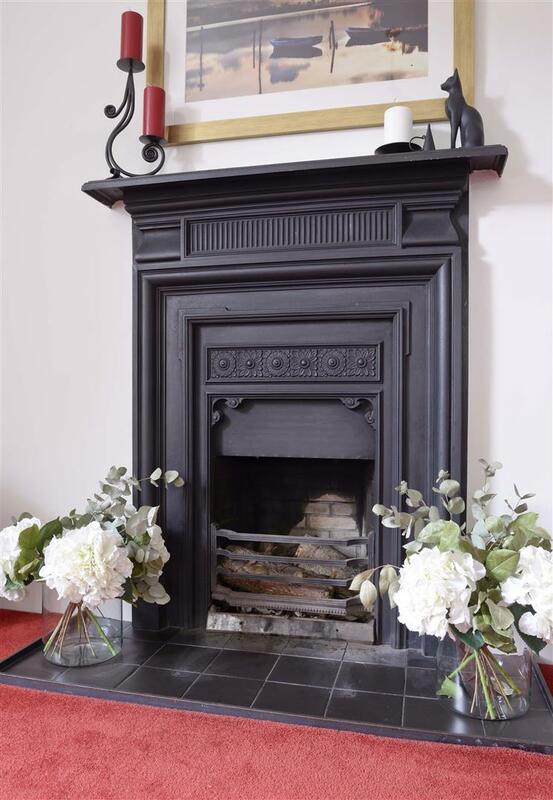 A central decorative stone fireplace and hearth creates a charming focal point, with the original door opening to the former cell - now providing useful storage space. 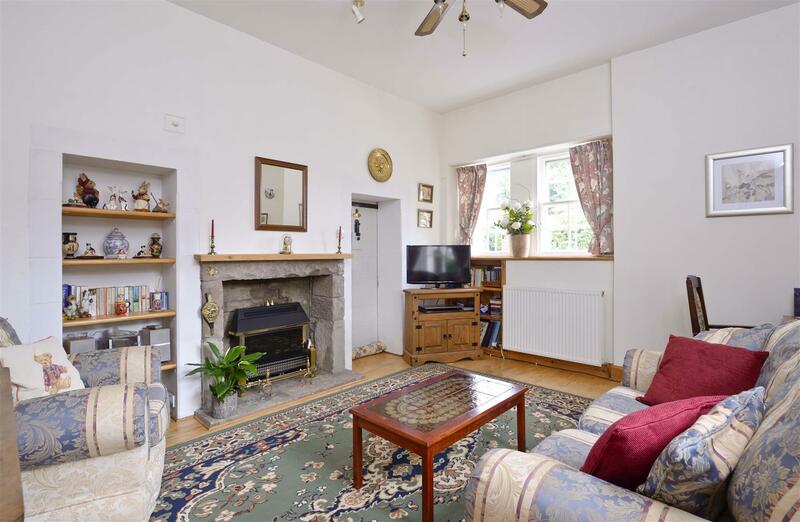 The Drawing Room is a sunny room with dual aspect windows to the front and side, and a working fire with traditional Victorian cast iron open fireplace with tiled hearth. The family bathroom lies at the far end of the hall and has been created within the second police cell; with distinctive barrel ceiling and tiled to dado height. The Kitchen and Garden Room off provides and ideal dayroom and dining area. The kitchen has real wow factor featuring a unique range of bespoke units created from a felled tree from the adjoining wood - comprising spalted beech panelled doors with solid ash frames and burr elm detailing in arts and crafts style and polished pewter handles. The kitchen also features a 'Nobel' Range Cooker set against a stone wall with reclaimed tiled panel set on exposed stonework, “Norwegian Blue” work surfaces, underlighting and matching tiled splashbacks, integral 'Siemens' stainless steel fan oven with 'De Dietrich' dual fuel gas and induction hob with hood over. Fittings also include a matching integral microwave with integral fridge below and a double bowl sink with swan neck mixer tap. 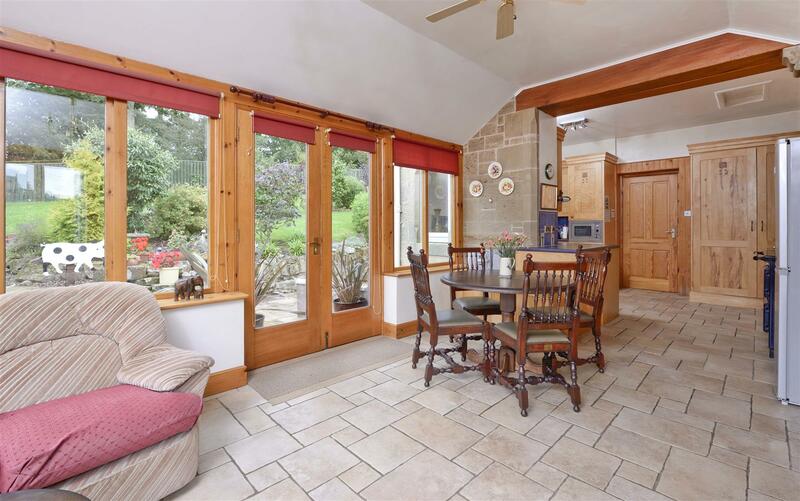 A ceramic tiled floor extends through to the adjoining garden room where good use of dressed sandstone, features and an embedded beam and open beamed ceiling provide and character and a great sense of space. 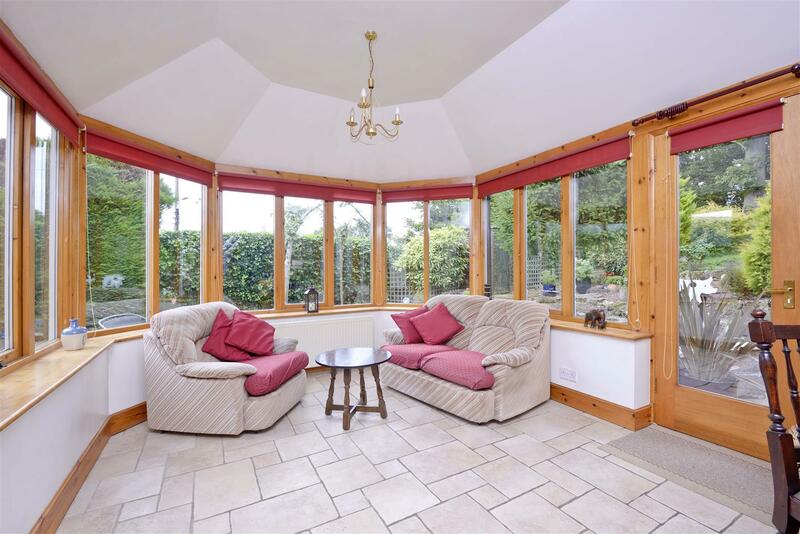 The room makes an ideal day room to relax with comfortable seating, wrap around windows providing a lovely aspect over the mature garden to the adjoining woodland beyond and French doors to the garden. 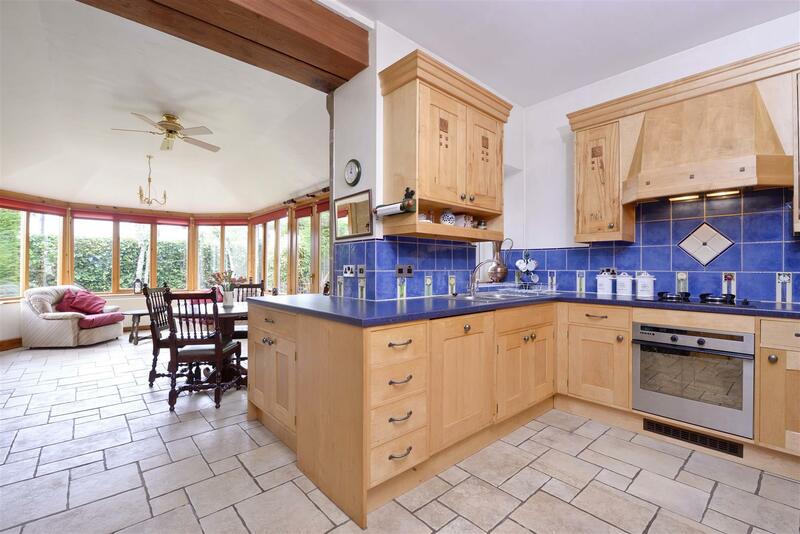 A tiled floor lies off the far side of the kitchen with a recently added rear porch providing ideal boot changing and a useful utility area and store lies off the hall. 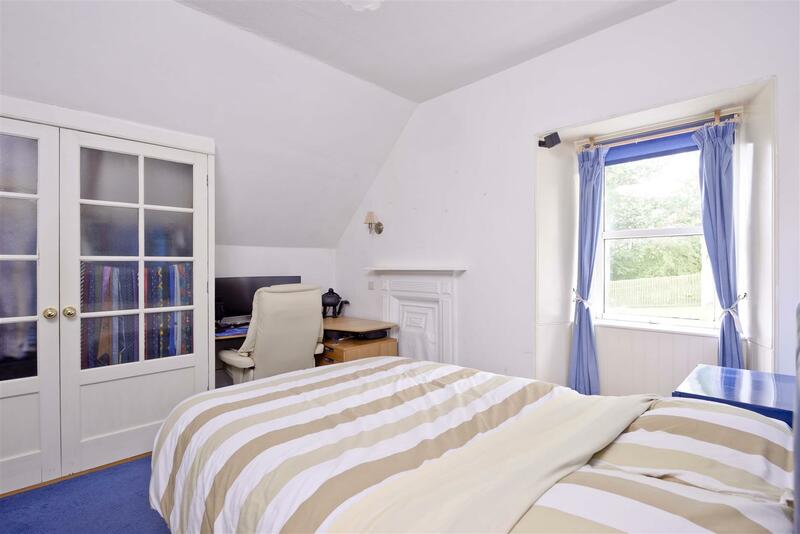 A Downstairs Double Bedroom lies at the far end with windows to front with the benefit of an ensuite wc and wash hand basin..
Carpeted stairs lead to the upper floor, with the main bedroom a bright contemporary room with a large floor to ceiling Velux providing a lovely woodland outlook. 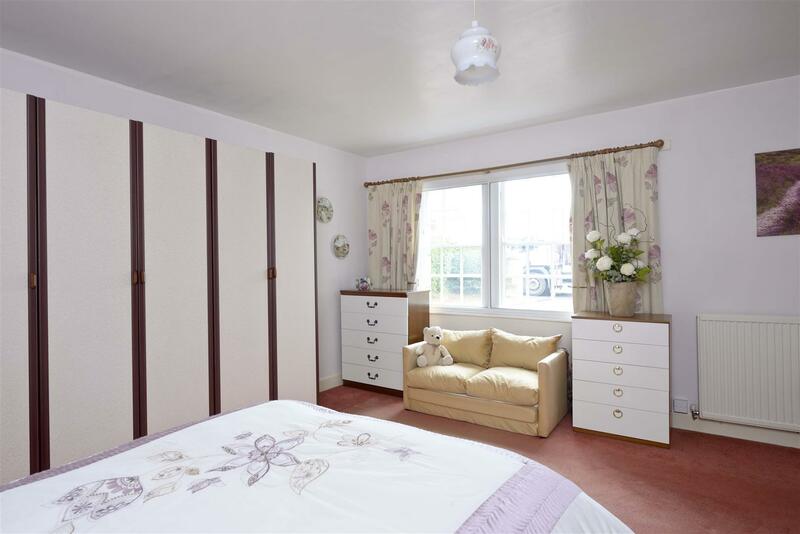 The room also has twin fitted deep wardrobes with ample storage and an ensuite shower room. 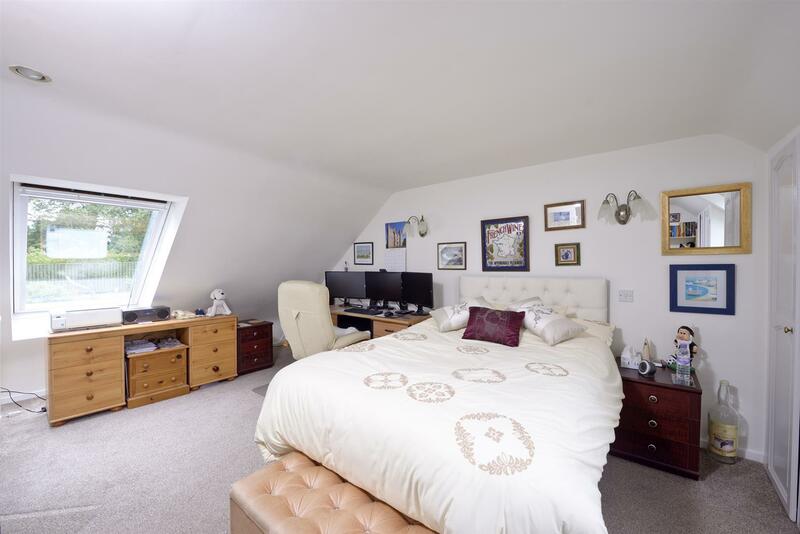 A further ensuite bedroom has a window to front and built in wardrobes and an ensuite bathroom while the third bedroom also has fitted wardrobes and is a good sized double with window to rear overlooking the back garden and woods. A truly delightful woodland edge garden enjoying good privacy and incorporating a good expanse of well maintained lawn fully enclosed with fencing and with occasional specimen plantings in keeping with the adjoining mature woodland beyond. A garden plot to the side has been landscaped and laid with paths leading up through the garden is again is securely fenced with access off the drive. The carpets, floor coverings, blinds, lights, light fittings, any appliances mentioned together with the timber sheds in the garden subject to negotiation. Mains electricity, water and drainage. Mostly double glazed – some secondary glazing. Oil fired central heating.